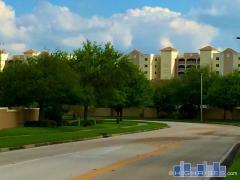 Blog with news about the Orlando Florida high-rise condominium and loft market. Friday, December 21st, 2018 at 11:32am. Have you heard? The University of Central Florida is coming to downtown Orlando. With that news, many are curious about what that means for homeowners or people looking to buy in the area. Downtown Orlando has a lot to offer. You might enjoy lunch at The Rusty Spoon or have a slow art day at the Orlando Museum of Art. Orlando really has is all from arts & culture to world class restaurants, and more. However, one thing that Orlando has not had much of recently is available housing, especially for students. But that's all about to change with the upcoming developments planned by the University of Central Florida. Wednesday, July 13th, 2016 at 10:40am. Thursday, September 19th, 2013 at 3:55pm. A new high rise is coming to the Orlando skyline and will have 300 for rent apartments and retail on the ground floor. The new residential high rise will be located in Orlando’s Thornton Park District off Church Street. There are still a few hoops to jump through before this project is approved. The demand for housing is increasing as the market recovers. Highrises.com of Orlando is interested to see if there will be any new construction of “for sale” high rise condos in the next few years.